Manufacturer of a wide range of products which include stand up pouch making machine and pouch making machine. We provide to our clients a wide array of Stand Up Pouch Making Machine that find application in the packaging industry. 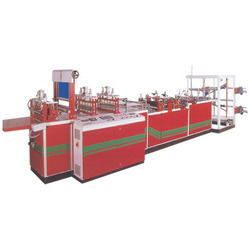 High grade material is used for the manufacture of these machines. These are known for their speed and a touch of flexibility in production. Compliant to international quality standards, these machines give optimum performance during production and also ensure trouble free operation. 3. Systems Required like 3 Drive, 5 Drive etc. 5. Speed of the machine. Manufacturing our range of Pouch Making Machine as per international quality standards, we cater to the packaging industry requirements. 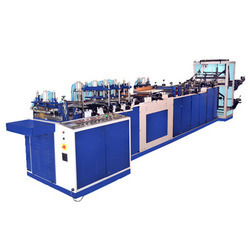 These machines are manufactured using high grade material and offer high performance and reliability. Apart from providing cost effective solutions, these machines run at optimum speed. These high quality machines cater to the exact need of our clients and assure complete client satisfaction. Looking for Pouch Making Machines ?